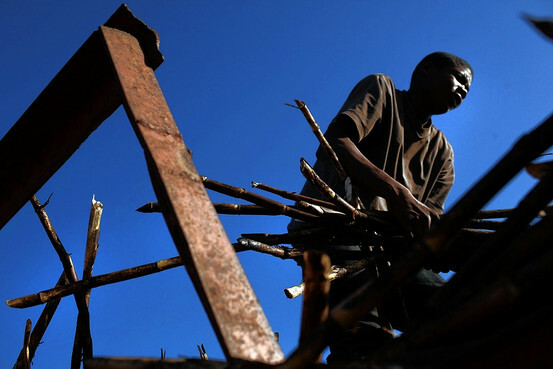 A worker loads sugar cane at a plantation in San Pedro, Dominican Republic, where sugar cane workers are mostly Haitian, or of Haitian descent. BATEY GEORGE, Dominican Republic—José Luis Santo, having just turned 18, planned to vote in this country's presidential election on Sunday. But when he went to the local registrar's office, he says he was denied a voting card on the grounds that his mother, who is Haitian, was never a Dominican citizen—and so neither was he. 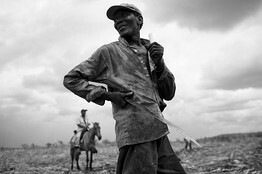 A Haitian sugar cane worker cut cane in a field beside a batey in March in San Pedro, Dominican Republic. SOURCE: The Wall Street Journal, Friday, May 18, 2012.